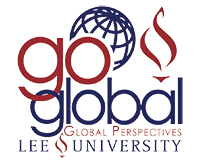 LEEU 102A: Global Perspectives Seminar (1 credit hour) – LEEU 102A is the required 6 week seminar that serves as the prerequisite and pre-departure orientation for student’s cross-cultural experiences. All students are required to take this course, regardless of whether they qualify for exemption or not. GNST 250, 251, 252, OR 253: Cross-Cultural Experience (1-3 credit hours) – This GNST course is the actual experience of interacting with another culture, either through one of Lee’s many Global Perspectives trips or through an Individually Arranged Cross-Cultural Study. This is not a class which meets throughout the semester or summer term but the credit the student receives for the actual cross-cultural experience, in which he/she can earn 1-3 credit hours depending on the length and intensity or cultural interaction. Most students participate in a Lee sponsored trip to fulfill the requirement. As a part of the trip, students fulfill their Cross-Cultural experience requirement and have the opportunity to take additional classes related to their major or towards their Core classes. Students will need to plan to make sure that they do not take the courses associated with the trip they would like to participate in ahead of time. A complete list of the Lee sponsored trips can be found here. Students may get 9 hours of humanities core credits on the trip, and any of the 4 courses (not counting the GNST course) can be substituted for any of the courses in the Exploring the Humanities basket including Western Humanities and Fine Arts EXCEPT for HUM 201, Foundations of Western Culture. All students will be required to take that on campus. The other 3-hour course will then count as a Humanities elective. In some cases, students are able to get permission for the extra course to count as an elective in their major depending on the type of course and department approval. Those situations are handled on a case by case basis. Students can plan their own trip to fulfill the requirement. It is possible to do either an international or a domestic individually arranged experience. There is also an option for students to do a domestic church study in Cleveland over the course of a full semester while enrolled in regular classes at Lee. The trip must be at least 7 days in duration (not including travel days, and the 7 days must be in one country) and the student must have a minimum of 45 hours of interaction with the target culture. To read more about the Individually Arranged Study program, click here. The application for an IAS trip is done entirely online and can be found at the link above. The deadlines to apply for an Individually Arranged Study differ depending on when the trip will be taking place; the list of deadlines can be found here. Students must apply to be considered for exemption, even if they are an international student. The application, as well as more information about exemption, is located here. Students can participate in a Collaborative Study with another institution and fulfill their Cross-Cultural requirement. There are also opportunities for students to participate with Collaborative Studies that do not meet the Cross-Cultural Requirement. In order to set up any collaborative study, students will need to email us at gperspectives@leeuniversity.edu with their availability for a brief meeting with Angeline McMullin.